Free youth bible lessons with printable bible puzzles! 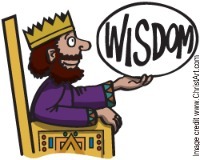 These free youth bible lessons cover the books of Numbers, Deuteronomy, Joshua, Judges & Ruth. To learn more about these books you can listen to bible stories online before you download your free youth bible study lessons. A book about numbers? Well, not exactly. The book of Numbers begins after the Israelites have left Egypt and are now living in the desert. It starts out with a census, which means a counting of the people. They needed to organize the people into camps and know how many people were in each camp. So kind of like taking a head count to make sure nobody got lost in the desert! Don't worry about getting bored learning your bible because you even get to go on a spy mission in these free youth bible lessons! Looking for other books of the bible? Click here for more free printable bible study lessons covering the other Books of the Bible. Joshua takes over after Moses dies and leads God's people into the Promise Land. He has some great adventures and battles along the way in these free bible lessons for children! Judges is about 12 judges or "deliverers" that tried to warn the Israelites about their sin and disobedience. It begins after Joshua dies. The book of Ruth has three main characters named Naomi, Ruth and Boaz. It's a short story about family and devotion. If you enjoyed these printable bible lessons then continue on to First and Second Samuel for more Free Printable Bible Study Lessons for Children. Here's some of our more popular pages . 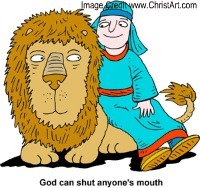 . .
Leave Free Youth Bible Lessons for more audio stories online at Short Story Time Home Page. We want to thank Calvary Chapel for these fantastic free bible lessons!